A website is the first and last impression you’ll have on a potential customer. It is your primary owned channel, and the location visitors spend the most time in front of your brand when making a purchasing decision. But what makes a “modern” website so valuable compared to one that was published 3-4 years ago? Does it bring that much value to an organization? Ultimately the value of a website comes down to a single factor: trust. Do visitors to the site trust that they will get an equal or greater value out of your company based on the cost they are paying for your services/product? Do they feel comfortable providing their personal information, and have confidence it won’t be used for spam? Do they engage with the site in a positive manner, and come away feeling their time and attention was respected? If Apple were to revert their site back to the version from 2011, it would have a dramatic impact on their online sales. They’d also be the laughing stock of the corporate world. When we arrive at a site, if we experience something that is not in alignment with our expectations, we lose a non-negligible amount of trust in that site and organization. And that is the final point: the experience of a visitor is what leaves the lasting impression. Whether it is a font size that is difficult to read on a mobile device, or having to click through multiple pages to find the content they are looking for, every microsecond spent on a website is contributing to an overall experience, whether it be positive or negative. What does a modern site look like compared to design trends three years ago? 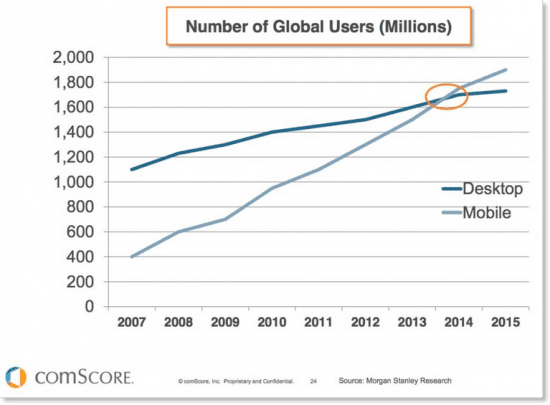 In the past 3 years mobile devices has surpassed desktop browsing activity. As a result our attention spans as a population are getting shorter and brands absolutely adjust their online destinations to be easy to navigate yet visually captivating. As little as a one-second delay in page load time will result in a 16 percent decrease in customer dissatisfaction. Sites are now quickly scannable, visitors are able to find content and navigate in a fraction of a second, imagery is visually engaging with large design elements, high definition photos are used thanks to 4G networks, and design gets “out of the way” of content. Furthermore, sites must be optimized for search engines which have constantly changing algorithms that impact how a site is listed in search results. All of this is to say that consumer trends advance incredibly fast online, and a website is not a static piece of marketing collateral. It must be continually monitored, improved and redesigned. We always highly recommend organizations allocate a yearly budget dedicated toward improving and optimizing a website, even after a large redesign. Because I can guarantee three years from now websites will be much different. Black Label has undergone two large redesigns in the past three years. Not just because we’re passionate about it, but because we understood how visitors were engaging with the site differently, and how our own organizational goals had shifted to align with customer needs. Is a web redesign every 3-5 years worth it? How much impact would a 5-10% increase in online revenue due to a higher conversion rate have on your company over the course of 5 years?